The holiday season is already upon us. Along with our preparations and festivities, now is a great time to plan ahead to ward off illness that could put a damper on our holiday cheer. As we prepare for the holidays, we often think about favorite foods we will eat throughout the season. We don’t often think about the foods that may play a role in whether or not we stay well throughout the holidays. Overindulging in rich foods and drinks is common over the holidays, but unfortunately it can weaken our immune system and lead to illness. Yes, the stress that often goes along with the season, and the fact that we are exposed to more people, thus more germs both can impact our immune system. However, it is important to also recognize thatwhat and how we eat during the holidays can easily contribute to illness. For instance, most holiday treats are filled with sugar, a recognized ‘anti-nutrient’ because it holds no nutritional value for our bodies. Sugar has a fast-acting effect on weakening our immune system, and it blocks the absorption of essential nutrients that help to keep our immune system strong so that wecan fight off viral infections. There is good news. By maintaining some basic healthy living practices we can support and strengthen our immune system to prevent illness from becoming a part of our holiday experience. 1. 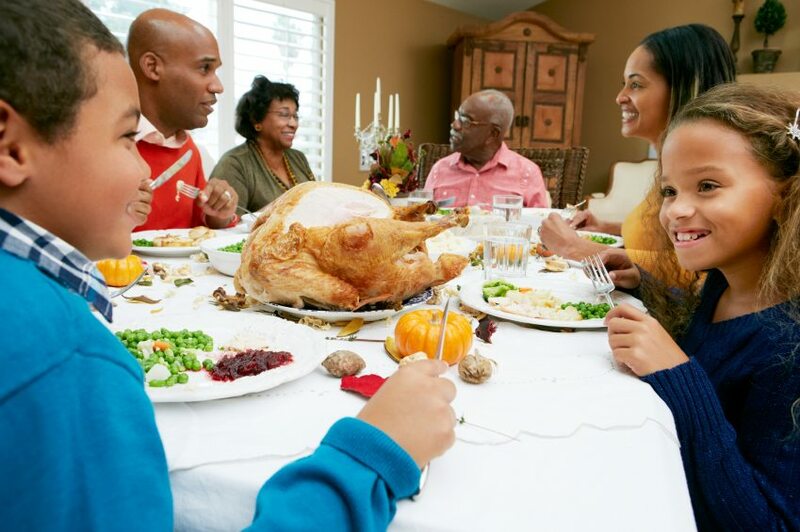 While enjoying holiday foods, try to be aware of what you eat, working to maintain a balanced diet. A diet rich in fruits and vegetables contains essential nutrients that naturally boost our immune system, which will lessen our chances of becoming ill.
2. Focus on having a healthier dinner, and choose high-calorie foods in moderation. 3. Eat before leaving home. Having a healthy snack just before going out can curb the appetite so that overeating will be less likely. 4. Find a balance with holiday treats. Select only those that you do not eat often, and again, moderation is the key. 5. Drink a lot of water. Pure, clean water is essential for our good health. 6. Get proper sleep. Rest is so important for a healthy immune system. 7. Maintain regular physical activity. Exercise boosts our mood, supports a healthy immune system, and speeds up our metabolism which is important in maintaining a healthy weight. 8. Try to maintain your usual routine, even while traveling. Remember to pack healthy snacks for the trip. Eat regular meals and try to maintain a regular bedtime routine while visiting. 9. Truly enjoy time spent with family and friends. Maintain good feelings of love and gratitude. Healthy thoughts are important for a healthy body. 10. Take time for yourself-even if 5 minutes a day. Being able to recharge our batteries is important to effectively manage stress. While focusing on healthy lifestyle habits can be a bit challenging during this busy time, it can go a long way to add to the joy of the season.